​motivation to build a good future for our earth and humankind. In our current context, because of increasing evidence of climate change on our earth, we need strong hearts, we need courage and determination to live as caretakers of our natural world. Fiction has the possibility of being a harbinger of hope for us, beckoning us to envision the possibility of changed ways of living. Maribeth Benner is the founder and director of the Write the Good Future project. As a young child growing up on a small dairy farm, her family's kitchen was a test-kitchen for recipes being considered for her aunt's cookbook. Her aunt, Doris Janzen Longacre, wrote and published in 1976 the bestselling book, The More-With-Less Cookbook. Doris envisioned that we can live creatively, joyfully, and simply - mindfully aware that our food and lifestyle choices bear a responsibility in stewarding the earth's resources. Rooted in the understanding that living simply can be meaningful and beautiful, Maribeth hopes for the possibility that we as a human race can learn to live sustainably together in the years to come. Maribeth coordinates Living U, the lifelong learning institute of Living Branches, a local Mennonite continuing care retirement community. 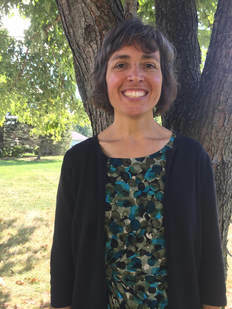 She is grateful to have served two congregations as a Mennonite pastor and two schools as a mathematics teacher (Salford Mennonite Church, Plains Mennonite Church, Dock Mennonite Academy, and Lancaster Mennonite School - New Danville Campus). She is a graduate of Anabaptist Mennonite Biblical Seminary (Master of Divinity) and Goshen College (Bachelor of Arts, Mathematics, Secondary Education). She lives with her husband and two daughters in Pennsylvania. ​​ Diana McClure assists with logistics, promotion, and photography for the writing contest. She has been a passionate reader for her whole life; it is her favorite pastime and is what inspired her most to help with this project. A champion of hope and community, Diana volunteers in her children's public schools and as a youth leader at her church. She is a graduate of Villanova University (Bachelor of Science in Accounting). 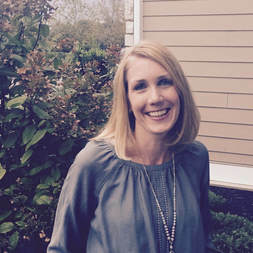 She has worked in public and private accounting, where she enjoyed opportunities when she could connect with people who were starting their own businesses. She and her husband live in Pennsylvania with their three children. Children and adults, family and friends, Education and English professors, teachers, a writing project director, a poetry contest leader, attorneys, a business consultant, and a 5th grade class who tested several story prompts, have aided and shared their energy for this endeavor. For a second year, ​Salford Mennonite Church, in Harleysville, PA, is generously providing funding for the writing contest. The 2018-2019 writing contest is made possible through $1000.00 of budgeted designations from their missional experiments funds. Printable flyers about the contest are available in PDF format for printing and sharing with others. Email to request a copy.